After Paypal, Hyperloop One, Tesla, and many other projects behind, Elon Musk`s empire united in a joint venture with Lockheed, Roscosmos and some other companies and organizations, just announced the “Solar Ride“. Mission to Mars as of today is not a Sci-Fi movie, but reality. As pieces of Elon Musk`s final plan are coming together and getting reviled to public, this man`s futuristic ideas are looking more and more real. This bold plan has a mission to send people to great distances in a time frame, small enough, not to consume an entire part of a human life. For example if a travel to Mars is going to take half of your life, than you have nothing to return for or no time to do it. But if you are able to go to Mars in a weeks , days, or even hours, than we are not talking about just one time visit, but something more like a regular traffic line. To put some numbers in, distance to Mars is 225 Million Kilometers, and if one would travel there at Mach 2 constant speed (that is near the speed of Concorde supersonic airplane for example), it would take 10.4 years to come to Mars. We can all agree that it is too long. But lets take another example and consider traveling at speeds more close to speed of light than the speed of sound. If we would ride at 1/10 of the speed of light , it would take 125 ………. minutes to come to Mars. Sounds better? Now back to Musk`s project , and it`s terminology . Photon Cannon – Initial starting device, like a catapult for a airplane, but involved in a space travel. Device, or better called facility located in geostationary orbit of our planet that will launch “S-Rider” space craft and give it a “Photon push” to its 1/10 of the light speed. “S-Rider SCC” – spacecraft carrier, capable of harvesting photon energy or in simple way using light like sailing ship uses the wind. This huge ship, is designed to carry Dragon spacecraft from one planet`s orbit to another. For now it looks like the problem of human`s body fragile structure will be solved by “Liquid compartment” , meaning that human passengers will be in the “breathing liquid” environment that will overcome rough speedup from 0 to 1/10 of the light speed . Hyper maneuvering – when traveling at 1/10 of speed of light maneuvering itself is a challenge. Just keep in mind that you would make a circle around the Earth in 1.33 seconds. Hyper maneuvering would be done by hybrid ASIC – Neuralink device that would overcome slow human reflexes or to say remove not only the delay between thought and action taken by a muscle, but the limited number of thoughts and actions that can be performed simultaneously. It would also simplify delivering commands to spacecraft since most of the traditional human input devices like pedals, switches, sticks etc. would not be necessary. 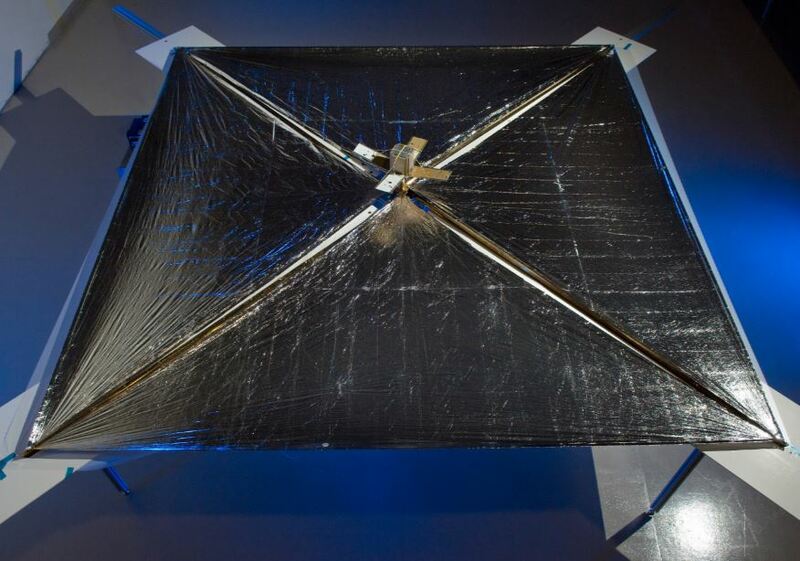 Solar brakes – combined with retrorockets will aid in maneuvering and stopping the spacecraft. They together with some other parts of spacecraft use reversed Cherenkov radiation for flipping photons backwards, and “cacthing” photons from desired angles. Micronova – smaller and controlled artificially created supernova. High yield photon burst or HYPB – it can be looked as a photon projectile, created by triggering micronova in Photon Cannon. Dragon spacecraft – free-flying spacecraft designed to deliver both cargo and people to orbiting destinations. As a first step it is planed to be one way trip for cargo and research drones that would be stockpiled or used remotely in Mars`s orbit. It is obvious that for returning journey one more Photon Cannon would be needed in at the Mars side to ensure initial speedup. For now there are some options considered, like sending unmanned automated cargo ships with preassembled parts so at the final point Photon Cannon would be built in Marses orbit and used for sending S-Riders back to Earth. This would add huge amount of lag time to end phase of the project, and skyrocket the price of entire endeavour, but in a long term it would make the travel Earth – Mars – Earth almost like ping pong. Final decision has still not been reached but most of the blueprints and proof of concept solutions has been already made. It`s not a secret that Musk`s companies are digging beneath LA, and part of the story is resolving a 2D roads and 3D Buildings problem, by transforming 2D road network to 3D using multi layer tunnels. Other part is that those underground digging sites, can be used as a great and hidden testing facilities for other purposes, and we got few leaked images of the smaller test version of the Photon Cannon. It is truly remarkable piece of machinery and we are still hoping that Musk will soon shade some light on a subject. Now, to share some info about project progress and time schedule…. Photon Cannon is already in successful testing phase , not in orbit but below Earths surface. Manufacturing of SFV (Satellite Facility Version) starts as of this day. It`s planned to be finished by October 2018. It is proprietary technology and it will be built “in-house” by Musk`s companies . “S-Rider SCC” is going to be built in next two years, and contracts are signed with Lockheed Martin one of the leaders in Aerospace & Defense industries and Roscosmos , Russian State Corporation for Space Activities. Hypermaneuvering part of the SCC will be done in-house by Neuralink and for the Liquid compartment part GUE is contracted as consultant for underwater survival and University of Medical Sciences of Havana for breathing liquid technology as a leader on this field. You see , Elon Musk once again did what was considered impossible, and so to say got Yin and Yang to work together, all for the same and better cause. Dragon Spacecraft is already there and in use, so only some modifications need to be made for it to be carried by S-Rider SCC. It is a finish to start task and it`s predecessor task is S-Rider. One more aspect of this story emerges after thinking this thru. Some questions need to be asked: Will someone try to claim the Mars ? Will UN have to enforce The Outer Space Treaty in the near future? Is it possible to own a planet? Will the Mars get its owner , and will it be a person, state or a company? Is there gonna be a monopoly on a space travel since technology could be locked? More and more questions can be asked, but since this is a story that has a Elon Musk as a protagonist, those kind of questions can be forgotten. Summa summarum, by all pointers, test ride to Mars could be happening in the middle of the 2020, and we can only conclude that we live in such a exciting time, and be grateful to have people like Elon Musk living and creating among us, since he is one of the very few real intellectuals in this world. Posted in Tech Tavern	Tagged with: Airbus, ASIC, Dragon, Elon Musk, GUE, Hyperloop One, LA, Lockheed Martin, Los Angeles, Mars, Neuralink, Paypal, Roscosmos, Space flight, Space-x, Spacecraft, Tesla, The Outer Space Treaty, Travel to Mars, UN, Who will claim the Mars ?